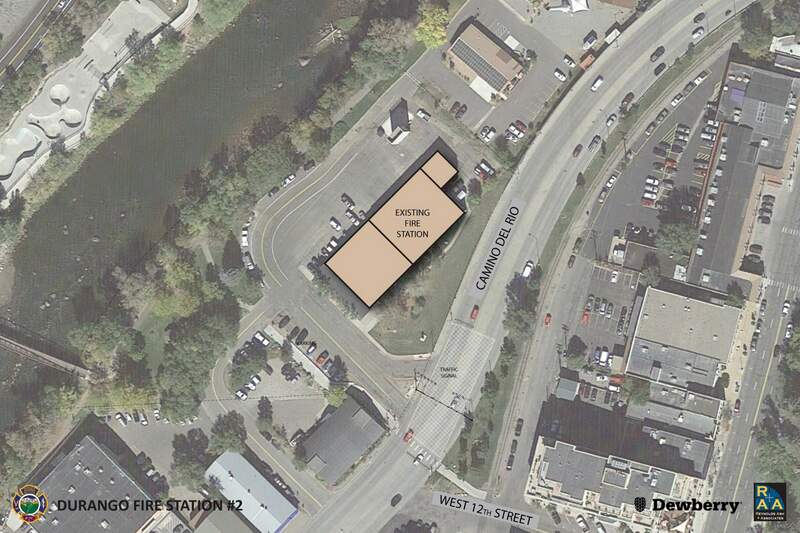 The Durango Fire Protection District plans to rebuild Station No. 2. One option is to rebuild a larger station at the same location near 12th Street and Camino del Rio. The Durango Fire Protection District could rebuild Station No. 2 in the Durango & Silverton Narrow Gauge Railroad parking lot, which is owned by the city. The district would build a new access road for visitors of the train to access the parking lots. The district would also pave parking spaces for those who are disabled. 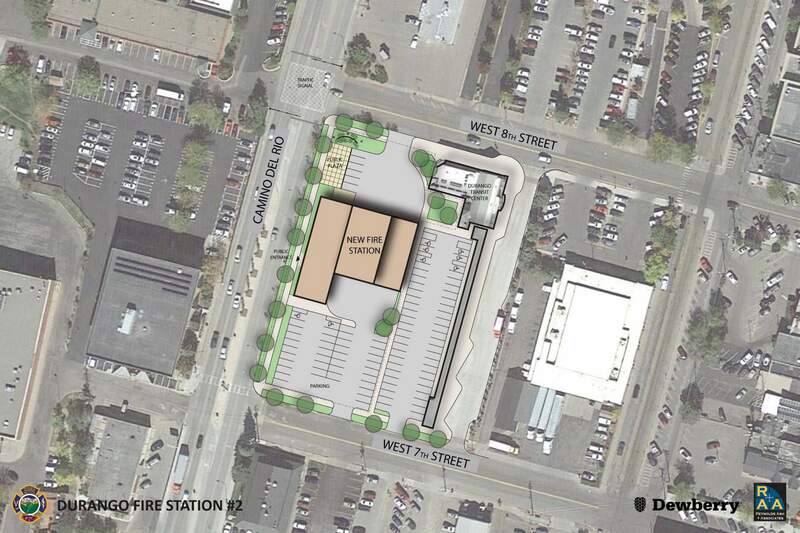 The Durango Fire Protection District plans to build a new fire station downtown. One option is to build it in the parking lot of the Transit Center. 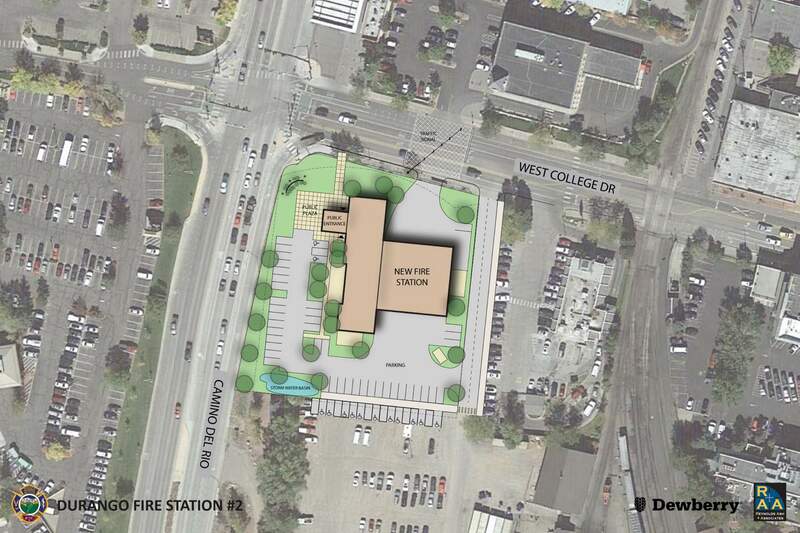 The pros and cons of proposed fire station locations will be explored in an upcoming meeting. Three alternatives for rebuilding the downtown fire station will be presented Tuesday during an open house. Station No. 2 near the intersection of 12th Street and Camino del Rio must be replaced because it is too small and was not designed as a fire station. For example, the bays for vehicles are right next to the living quarters, said Scot Davis, community education coordinator for the Durango Fire Protection District. “They are just not really healthy quarters to be spending that much time in,” he said. The fire district expects to spend about $9 million on the station, and it could move to another location on Camino del Rio. District staff members want to collect feedback during the open house to see if there are pros and cons about the proposed sites that they haven’t considered, Davis said. New sites under consideration include the Durango & Silverton Narrow Gauge Railroad parking lot and the Durango Transit Center parking lot. Both properties are owned by the city. The fire station could also be rebuilt in place, but that would require the city’s Community Development Department to move, Davis said. The district would also prefer a site with better access because at the intersection of 12th Street and Camino del Rio fire engines take up two lanes pulling into traffic. “It’s honestly pretty amazing, we haven’t had somebody crashing into an engine,” he said. Firefighters can only trigger a red light at the intersection if they are on their way to an emergency, he said. The will be no presentation during the open house, but representatives of the Colorado Department of Transportation, Durango City Council, the Durango Fire Protection District board and staff members from the city and fire district will be available to answer questions. Tours of the current Downtown Fire Station will be available all evening. Attendees will be asked to fill out a questionnaire about the proposals. An open house focused on three alternatives for rebuilding Fire Station No. 2 will be held from 6 to 8 p.m. Tuesday at the Power House Science Center, 1235 Camino del Rio. Tours of the downtown fire station will be offered all evening.